This course is for you if you practice clinical medicine and if you frequently need to analyze blood gas results. This applies to consultants and residents in intensive care medicine, anesthesiology, emergency medicine and internal medicine. However, anyone with an interest in acid base medicine is welcome to attend. The course will start by refreshing core topics in acid base medicine. Then we will quickly move towards full and complete understanding of acid base medicine. There is a strong focus on bedside clinical interpretation of blood gas results and the course is supported by real clinical cases throughout. 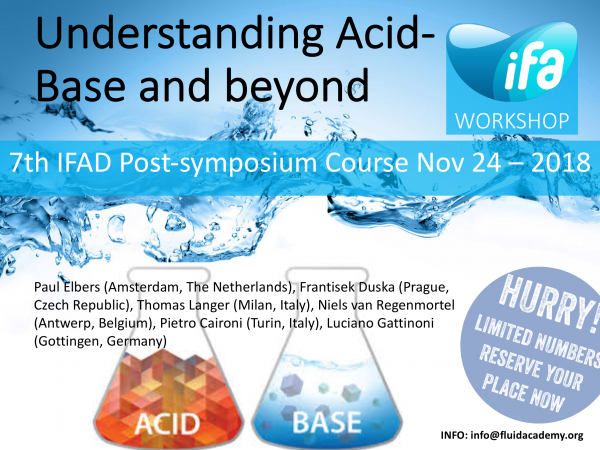 Following completion of this course acid base medicine well be completely demystified to you and you will be able to solve the most complex acid base challenges at the bedside with ease.